Ranvir Singh is the award winning presenter of Good Morning Britain and ITV News . She previously hosted the Daybreak Newshour between 6-7am each weekday morning for two years , as well as the national news bulletins between 7-9am across the ITV network. In February 2015 , Ranvir presented the critically-acclaimed , hard hitting ITV1 documentary, Exposure: When Pregnant Women Drink, where she investigated the effects of drinking whilst pregnant and met people who have been affected by FASD; foetal alcohol spectrum disorder. In addition, The Asian Media Awards judges recently presented Ranvir with an award for Media Personality of the Year 2015 at their star-studded event held in Manchester. Ranvir also presented a special filmed report for ITV’s Tonight programme about the Migrant Crisis Hope and Heartache / Breaking into Britain. Before joining the ITV family , Ranvir spent 12 years at the BBC where she was a producer, reporter, and presenter on both regional and national radio and television. She co-presented BBC North West Tonight for nearly five years and in 2010 was awarded “Best On Screen Talent ” at the Royal Television Society’s North West Awards. 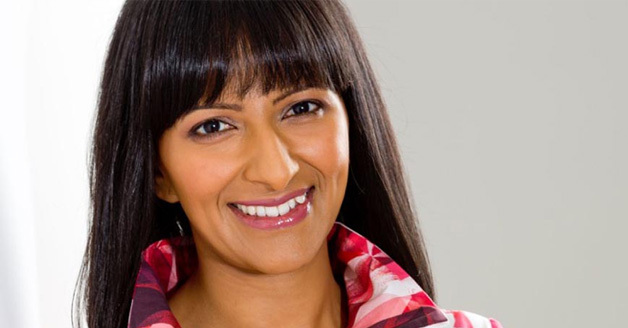 Alongside her television work, Ranvir has presented on BBC Radio 5 Live as a regular on the Weekend Breakfast Show, as well as presenting on the stations Late Night Phone In, Drivetime and Breakfast with Nicky Campbell shows. During the 2002 Commonwealth Games in Manchester she fronted the BBC Radio Manchester flagship show at breakfast, leading the numerous outside broadcasts from the games. Further career highlights for Ranvir while at the BBC include reporting live from the Election Night Special with David Dimbleby on BBC One; presenting from Athens during the Champions League Final and playing a key role in presenting the BBC Three live special, The Manchester Passion. In December 2013 Ranvir was chosen to represent Lancaster University on University Challenge: Christmas Special, where the team got through to the semi-finals . And at the other end of the televisual scale, in 2012, Ranvir appeared on ITV1’s Celebrity All Star Family Fortunes.